he woke up suddenly, disoriented. what was it he had heard himself say as he sat up with a jolt? a touch of that word lingered on his vocal chords, his throat. it seemed to reverberate in him. a funny ache somewhere. had he said khushi? arnav singh raizada frowned even as he felt a niggling discomfort overtake him. he flung off the light quilt he preferred to use with vehemence, and stood up, grabbing reality, pushing aside that feeling. his frown deepened, he pursed his lips and waited a couple of moments before heading to the bathroom. by the time he was knotting his fine silk charcoal tie with swift and precise fingers, he had taken a decision. the most important thing at the moment was to find out what was missing in blooms in agung and he needed to get into that completely. there was no room for distractions. no time to be whiled away. no… no time for these disorienting feelings. none. he would go to the office, plan schedules and assign duties for the next two weeks and then do what absolutely needed to be done. he would go to bali. he finished knotting the tie and shrugged on his jacket with a feeling of satisfaction. he knew exactly what he had to do… everything was under control. his to be precise. he looked into the mirror, a quick appraising glance, and started walking out of his room. a sharp ray of light reflecting off the pool’s shimmering surface caught his eye, blinding him for a second. he blinked and looked out, his sight clearing slowly. how bright water looked in the sunlight, as if denying there ever was night or darkness… or stars. asr grimaced. what was he thinking! stars… oh really. he left the room and headed downstairs. mami ji was wailing at the dining table and asr could hear her voice gaining volume and velocity as he came lithely down the stairs. her voice came to a pause, “meeehhh meehhh” said lakshmi. next thing, mami ji came hurtling out of the dining area and with a cry of “no one!!! no one eej respectiyaing me in thees house!” she went toward her room crying copious tears. asr reached the table to find the rest of the family sitting there looking stunned. now what had happened. what had upset everyone? what “nooj” was mami ji going on about. phansee ka nooj? then he remembered what khushi had said last night, oh yes, akash it seemed had asked payal to marry him. his lips curled in a tight grim smile. what was wrong with akash. but if akash thought that’s what he wanted, what was the problem, why was it such a big deal. “good morning, everyone, what’s the matter akash, what happened to mami?” he said crisply, sitting down reaching for his toast and sugar free jam. “hari prakash, please get chhotey’s coffee!” said nani ji and looked at her grandson, eyes really worried, “akash bitwa was trying to tell his mother that he wants to marry that nice girl who came that day… khushi bitiya’s sister… and your mami…” nani sounded troubled. akash nodded miserably. mama ji patted his shoulder, obviously ready to be harangued by his wife for not taking her side on an important matter such as this. he knew what her reaction would be if he mentioned love or the look of joy on akash’s face when he spoke of payal. mama ji was also pretty sure there was no point in reminding his wife that if akash’s father could marry the woman he wanted to, and not bother about her social status because he loved her, why not akash. that would mean the end of peace and sleep and peacetime privileges for months he was sure. di, beautifully dressed in her diaphanous beige maheshwari saree with perfectly matched bangles, a simple necklace, light make up and bright red bindi, reached across and stroked akash’s cheek. only jija ji looked completely relaxed. asr wondered why and tried not to think of what khushi had said… why was he thinking of khushi?!! and whatever she had said, dammit! “ok! if that’s the case akash, you have to make sure that mami is with you on this deal!” he said eyebrow cocked and sharp look in eye. “deal? !” akash looked at his cousin foggily through his glasses. “yeah, well marriage, whatever!” his voice was peremptory. di shrugged, there went her chhotey reducing everything to a transaction, she looked at her husband imploringly, who smiled at her indulgently and said nothing. “nani! 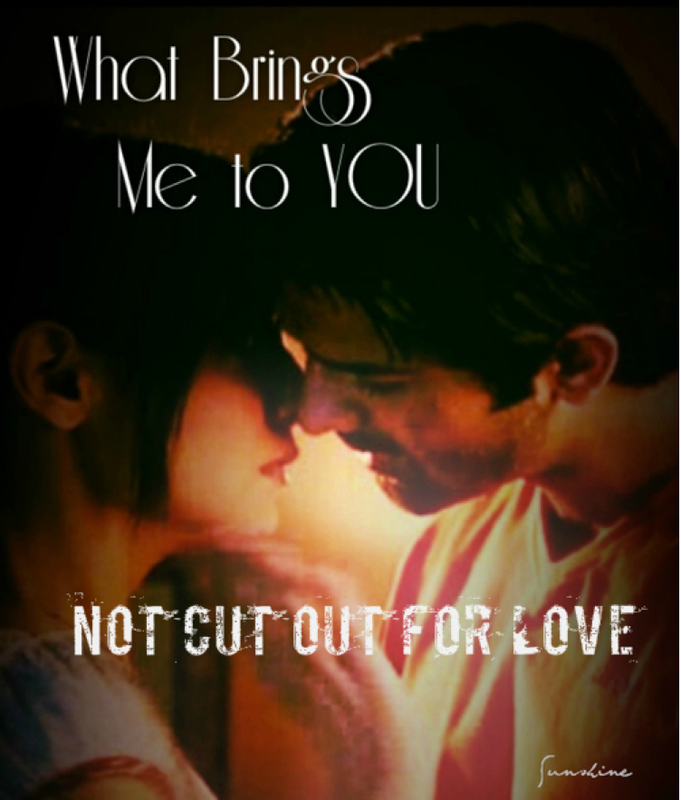 don’t worry, it will all work out, you relax, ok?” asr looked keenly into his grandmother’s eyes. they twinkled back at him, absolutely trusting. “aap ko payal ji pasand hai, nani?” anjali asked in a lilting voice. chhotey’s declaration that all will be well seemed to bring some calm around the table, and anjali loved the idea of her cousin getting married, akash bhai was like a brother to her and he was such a sweet young man, he deserved the best ever. before she could finish, asr had put his mug down with a little bang, got up and without finishing the food on his plate, started to walk away. “chhotey! won’t you finish breakfast? !” nani ji said, startled. “bahut kaam hai!” he offered, cryptic and clearly in no mood to discuss, as he left. “khushi!” payal called out to her sister as she was about to get into the auto. “kya, jiji!! aap bhi na, why are you calling me as i am about to leave… not auspicious, you know, na?” khushi ran out of the auto rickshaw and sat on the steps of the verandah for an instant to allay all inauspiciousness. “dinner?!! again! jiji, bua ji will be so mad at me if for three three nights i don’t eat at home, have you thought of that? 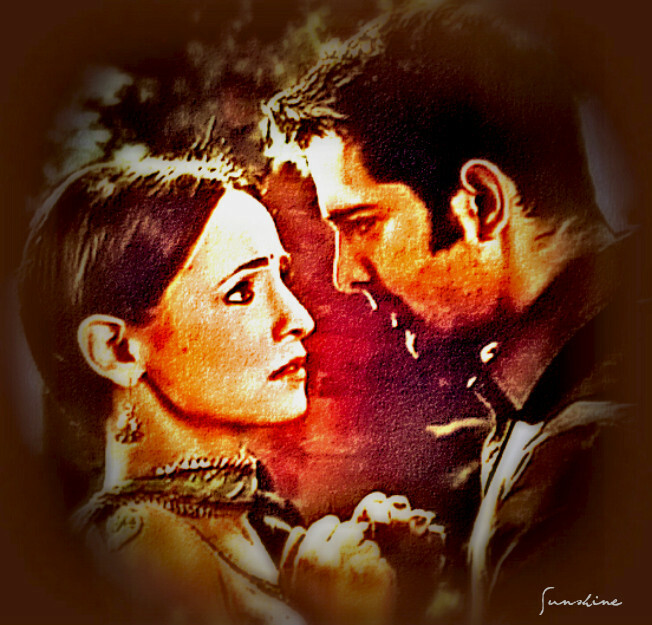 as it is she is always tense about me and you… and i don’t know… and i don’t think at night i want to meet…” khushi was suddenly gripped by a fear, her heartbeats raced, dhak dhak dhak dhak. payal looked at her mystified. what was wrong with khushi now! bua ji had been watching this scene from the doorway. she realised it was time to talk to her brother and his wife. hai re nand kissore, what were these girls up to… and what was this new thing of eating dinner all the time. what happened to eating golgappas or drinking fanta cococola with friends! so many dinners, was it even good for health! she shook her head in confusion, swung her long plait over her shoulder and went inside. he was driving to work when suddenly the anguish hit him point blank. his eyes shut involuntarily, the pain ricocheting inside. why did people believe in such ridiculous things. love. marriage. he sneered and shook his head, his eyes shot with despair. sheer utter despair. he needed to stop the car. he needed to get out. he needed to breathe. he stood outside in the open air, leaning against his suv. “why am i thinking of such things today? and why do i feel this whole thing… this thing is just not right…” the creases on his forehead grew deeper as the feeling overwhelmed him, his jaw hardened, he could barely breathe. he knew he had to get a hold of himself. his mother had suffered too much, his father had cared too little, and then one fine day, it was all over. love, marriage, nothing meant anything. it was all over. maa shot herself the day di was to get married. they said pita ji shot himself too. he winced as he remembered the gunshots. love… marriage… that was all it really meant. then had come the betrayal by chacha ji, pita ji’s only sibling. asr gritted his teeth at the memory of that day. a fourteen year old boy had had to become aware, there was no place for anything but cold hard reality in this world. to be wealthy was important if you wanted to survive, money was real… money mattered. money could not be pushed around. asr leaned back against the car and looked at the bright morning sky, squinting up at the sun. big huge fuming ball of fire, blaze. he breathed in deeply. in a way he was almost grateful to chacha ji for being the cheat he was. it gave him strength somehow, that betrayal. made him determined and strong. otherwise, how would he have survived the passing away of maa. why was it hurting so much today, though? why did he feel so disarmed all of a sudden. so vulnerable. he drew himself up to his full height slowly, telling himself, this was just a feeling, it would pass. he just needed to concentrate on work. as he got into the car, he looked up one last time. at the refulgent sun, the star at the centre of our solar system. asr reached ar and went straight to jean pierre’s room. they sat and planned the coming fortnight. work had to progress smoothly, asr hated leaving things till the last minute. no matter how creative a job, order and pace were important. “ahhnav, ees it imperative? you ‘ave to go to bali today itself?” jp was a little taken aback by asr’s announcement that he was going away. “yeah!” came the taciturn reply. jean pierre took the hint. the owner of ar industries was in no mood to answer questions. once done, asr went to his office and sat down. he opened his laptop and started to work, he did not look at the door leading to the adjoining office. lavanya walked in and found him engrossed in work. she cleared her throat to draw his attention. he looked up distracted. “yes, lavanya?” he sounded tired. “asr, jp says you are going to bali…” lavanya replied. “alone, asr?” lavanya sounded perplexed. “yes, lavanya…” he started to scan his laptop again. lavanya realised there was no point in trying to pry more out of him, anyway asr knew the timelines, she was sure he had worked things out. she turned to leave. “lavanya!” his voice was authoritative yet gentle. he sat and looked at her for a long moment, then gave a half smile, lavanya felt she saw something a little broken, defenceless in him. it was hard for her not to go right then to him and hold him, but she stood where she was. she wondered why she thought she heard him say goodbye. “for what, asr?” she asked quietly. “for taking me just as i am,” again that half smile flitted by. lavanya knew then yes, indeed this was goodbye, tears seemed to find their way to her eyes, her nose. khushi had not seen him since the morning. she wished she could make herself feel a little less restless. she went looking for kareena ji, hoping she would give her some work to take her mind off things. akash ji had also not come in today, he would be late he had said. for some reason this morning as she left home, she had felt like taking devi maiyya along with her, so she had slipped her pretty idol into her large cloth bag and brought her to work. now devi maiyya sat by her computer, her red chunari fluttering slightly in the draught from the central airconditioning vent. “devi maiyya, hum abhi aate hain,” said khushi when she left the room. it was past lunch time, when at last asr looked up from his laptop and turned his head slightly to look at the door to the office on the other side. why was he thinking of her suddenly. he saw soft hazel eyes looking back at him, they seemed to say something. asr pursed his lips. ridiculous. she was not here. her eyes were not here. period. he glared at his laptop. he had to finish a heck of a lot of things before he went to the airport at four. where was his mind? he struggled for a few more minutes. then he got up and strode to her room. he knocked sharply and opened the door. but the room was empty. where was she? the emptiness rushed in filling him up. he felt anger rising, cutting through the choking emptiness. where the hell was she! didn’t she know she was supposed to be here when he needed her?! what if there was work… how could she just skive off? he marched into the room to check if her computer was on, had she come in at all? her computer was on. his breathing got a little easier. but what was this? he frowned at the idol of devi maiyya. seriously? she had brought along her goddess to the office? even di wouldn’t go that far in her craziness about god and praying, yeah whenever she came, she did a little aarti, but thankfully it stopped at that. he saw she had kept some jalebis and a beautifully wrapped chocolate in front of the idol. chocolate for the goddess… he could almost see khushi gleefully offering it to her, talking nonstop of course. despite himself he began to smile, eyes getting browner, molten. “dekhiye, devi maiyya, jon piye ji ne chocolate diya, ab kareena ji ne aap ke liye kya bheja hai, yeh peda, unki amma abhi madras se laaye hain!! 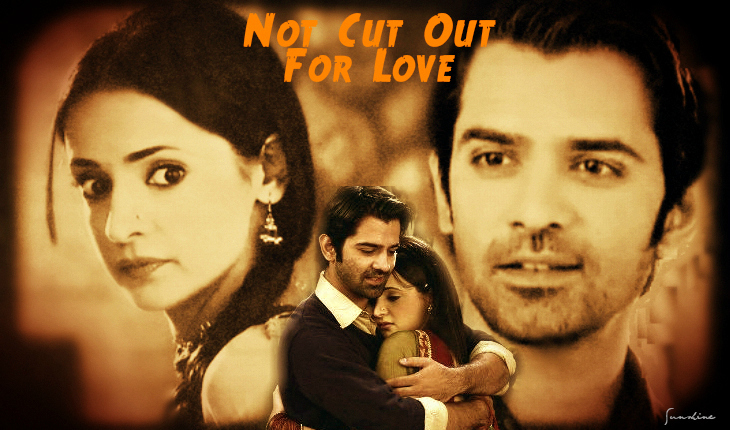 aapne kabhi madrasi mithai nahin khaya na…” khushi prattled as she walked in. she looked up smiling happily and saw him standing there looking sternly at her. her eyes widened, her mouth formed a perfect “o”, the madrasi mithai fell from her hand. he wanted to rush to her, pull her into his arms and kiss her tender trembling lips. passionately, wildly, without restraint. he wanted to feel her responding to him, kissing back, nibbling gently, moaning, pressing herself against him, her arms creeping up along his chest to go right round his neck, pulling his head down. she stood almost statue like at the door. the air in the room went still. her eyes searched his face. he looked angry, but what was that other thing in his eyes. did she imagine it or was he looking vulnerable. he stopped his thoughts short. and sought calm in a familiar friend, anger. she was shocked at the harshness in his voice, she almost fell back as the blast of his ire hit her. “idol made of mud?!! how dare you…” she began to fight back. “how dare i? don’t you ever… ever… speak to me like that… understand?” he was livid. “don’t understand!” she said angry and fuming, “make me understand… why can’t i speak when you can, you can… ” her breathing was uneven, shallow, a huge tear formed and started to roll down her cheek. he swore under his breath, turned curtly and walked out of the room. at 4.30pm sharp, captain raina took off for bali. asr sat working at his laptop. miss rao got ready to make several cups of black coffee. “no, aman,” he said and disconnected the phone. akash came to pick payal and khushi up. khushi was delighted to see the way the two of them looked at each other… she had decided not to brood over the incident that afternoon, that man was awful but she couldn’t get him out of her mind… oh well, she would just let all that be this evening. it was akash ji and jiji’s first sort of… date… yes, date… with his family. she, khushi kumari gupta, would simply enjoy herself and be happy for her sister. a vast emptiness seemed to rush in and fill khushi. Arnav abd Lavanya shared a easy but strong friendship before anything..Thank God, they didn’t kill her character in the show by making her a vamp..More than Khushi , Arnav is in a spell..In Khushi’s words Black magic..haha.. So calling someone from behind while they getting ready to leave is considered as a bad omen there too??!! i always liked that asr la relationship. yes, thank h they didn’t turn ber into a baddie, they handled that most untypically and despite the churidar and silly la bits, was one if the best stories of ipk.